Looking to add a touch of elegance to your space? 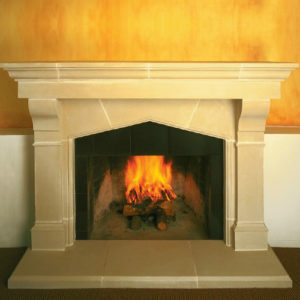 Let the timeless beauty of our classically styled Berkley cast stone fireplace inspire you to action. With prominent columns and intricately carved details it’s guaranteed to add character to any existing decor style. As durable as it is affordable, this luxe design can pull rooms of any size together. Want it customized? Contact us to collaborate on available options and additions. 5 out of 5	So helpful! We are thrilled … I want to thank you and your company for the support throughout this project. You helped us from drawings back and forth on fax and sending us instructions and speaking many times on the phone when we needed answers. Also, your CD was a great help as well as the written instructions. Thank you again!